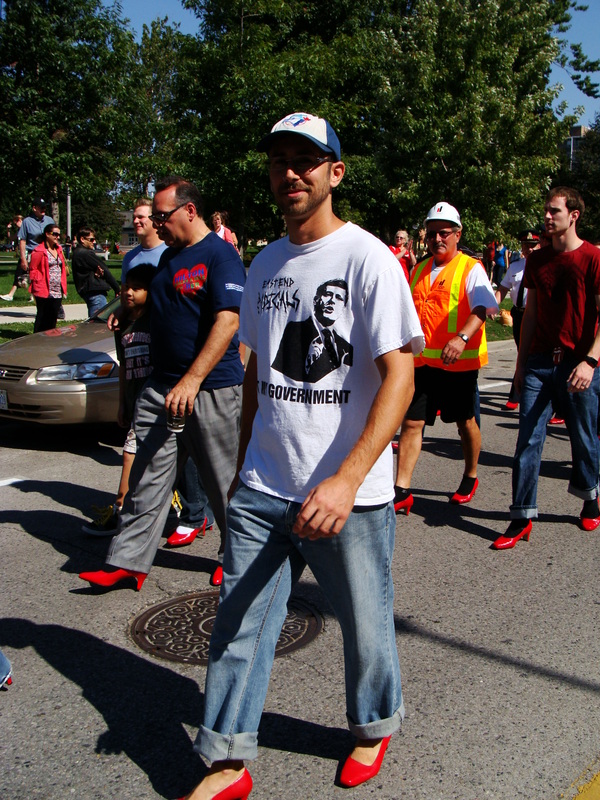 A few comments in regards to the 2012 Walk a Mile in Her Shoes® London ON event held on Sunday, September 16, 2012 have been received. Take a look at what some of those involved had to say. “I came along to watch my Dad’s Team Chil-Con on their first walk and last year my older brother went so I asked if I could walk too. 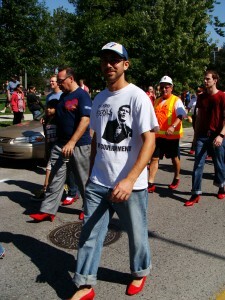 It was exciting to be part of the team and funny to wear the shoes because mine were a different type that were higher. I knew we were raising money for Women’s Community House but I didn’t really know what for until my Mom explained that there are women and children out there who don’t live like we do and are scared to be at home and need a safe place to go when they have to get away. I had a great time and my feet didn’t even hurt too much. Thanks for letting me join the Walk!” – Duncan, age 10, Chil-Con Team Member *Being 10, he was very proud to be the youngest walker.